You'd never know it by the tone in his voice or the quiet confidence he exudes that Keith Yandle has become one of hockey's best defencemen. For all the fanfare over the season he's had – one that's seen him skate in his first All-Star Game – the blueliner from Beantown is truly unaffected by the rave reviews that continue to pour in for Phoenix's alternate captain. On the way to a morning skate in mid-February, Yandle, in his fifth NHL season, is very much the same person fans on the ice see: calm, cool and collected. 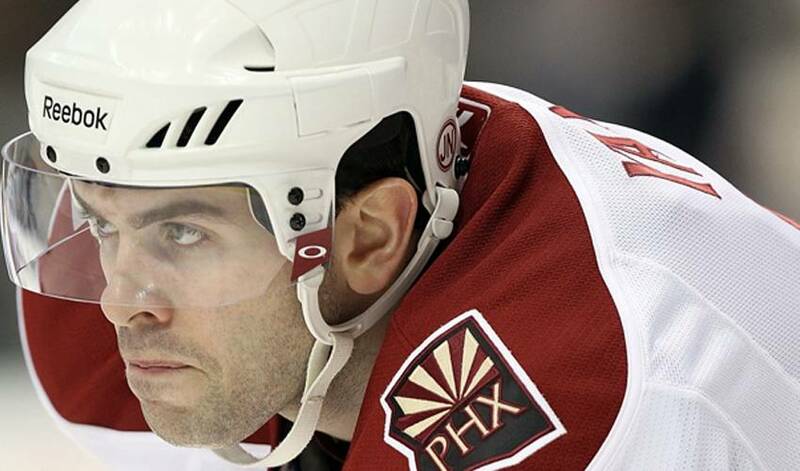 Yandle, the 105th overall selection of the Coyotes, continues to up his game. He attended Cushing Academy and was slated to attend the University of New Hampshire where his brother Brian played from 2002–06. However, Yandle decided to forgo his college eligibility and instead set his sights on the Moncton Wildcats of the Quebec Major Junior Hockey League (QMJHL). Appearing in 66 games in 2005–06, he recorded 25 goals and 59 assists for 84 points. The Wildcats won the QMJHL championship and Yandle skated off with the league's Emile Bouchard Trophy (best defenceman) and Telus Trophy (defensive player of the year). He appeared in his first NHL game on October 11, 2006 against the Detroit Red Wings and logged 20 minutes of ice time. Last season, Yandle played in all 82 games with the Coyotes, a campaign in which he netted 12 goals and notched 41 points. He also contributed five points in seven playoff games. Though they were longshots to make the post-season in 2009-10, Phoenix is no longer an outsider in the Western Conference playoff picture. In fact, the 24-year-old Yandle is part of Pacific Division club that believe they have the ability to take a run at all the spoils. The numbers certainly don't lie. Once again, Phoenix is in prime position to net a return trip to the playoffs, a team that has shown consistent form for a vast majority of the season. Confidence is running high in the Coyotes' dressing room these days. Yandle is feeling it, too. Yandle has worked diligently on the defensive side of his game, creating a more balanced on-ice style. His ability to negate chances in his own end and initiate offensive chances is reflected in his minutes per game, 24, to be exact. It's four more than last season and tops on the team. Faith in his game extends throughout the organization, including support from his teammates. “Shane (captain Doan) told me at the beginning of the year that he wanted me to be the best player on the ice, to strive and be that,” reflected Yandle. “That meant a lot to me and that stuck with me. It seems Yandle is living up to those words. Smart decisions, strong play at both ends of the rink, it has all added up to be a dream season for one of hockey's best young defencemen. Yet none of the accolades have gone to Yandle's head. Quite the opposite, in fact. With the way Keith Yandle's playing, how could you blame them for thinking that?